I was born an expert money saver. When I was 6, I received a book from my grandma with $10 in $2 bills. I still have every one of those! My husband, on the other hand, was not born that way. He was a born spender. Saving money does not come easily for him, but he has taken the time to learn some money advice and make himself change. He has become an expert money saver as well! This transition is not easy for lots of people. But it is important to focus and get yourself into a place where you can save money for your future. Over the last few months, as we finally have a “real job,” we have been looking at where we need to save for our future. We know that we needed to save for our regular bills. We need to save for a car once ours bites the dust. But we had not thought much about savings for other unexpected expenses until a friend of ours lost her daughter at age 15 suddenly. They were left with a massive bill, and the amount got greater by the day. I realized that you never know what was going to happen, and while we could set up payment plans and such. That type of tragedy would wipe us out and leave us struggling with grief and money. I knew I didn’t want that for us so we have decided to get a small savings account for emergencies like that so we can at least have a little amount to pay bills if needed. 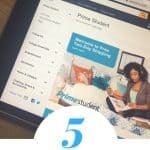 Over the last few years of saving for school, and saving during school I have learned some money advice that have helped us to start saving money quickly. It happens without thinking for us which is a plus when you have a large family on a small budget. Multiple accounts are the number one piece of money advice that I can give that will make the biggest difference as an expert money saver. Right now we have seven accounts at our bank. Each has a different label and a different purpose, and we are in the process of making more as we need them. We are not afraid of the number because each has a purpose and use, and it serves that use entirely. 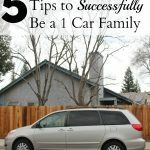 We have one for our emergency savings, one for our active account, 3 for saving for doctors, car, and work expenses, and two business accounts for the blog. We can keep the saved money separate and then use it when we need it. It makes it easy not to spend the money we need to keep as well. If you don’t label the money as money to be saved, then you will not do it! The plan makes all things work smoothly. 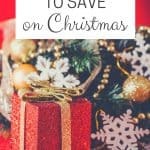 I usually will put it into my budget at the beginning of the budget if it is money to save for bills and after all my bills are assigned on the budget if it is for a slow saving type item. This way we have enough money for all our bills before we save for other things. This was a life changing move for us. When we set up the auto transfers we didn’t have to think about anything at all! It went into our main account and then would move into our savings before we had a chance to spend it. Each bank has a different process for this, so ask your bank what you need to do to make that happen and get your money into your savings accounts, so you have enough money for those items when you need it. 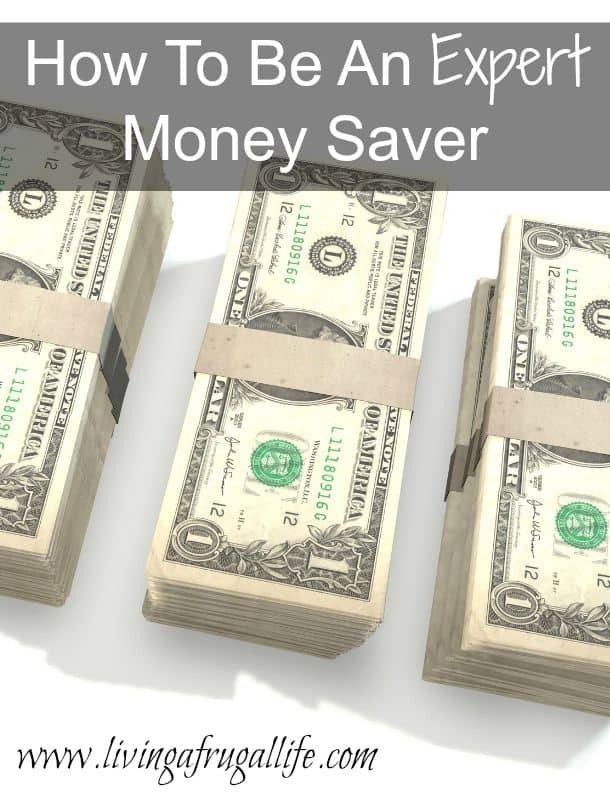 This is one of the best ways you can be an expert money saver without thinking about it. For most people, it is painful when they use cash and have to count out the money. This makes you think more about hat you are spending your money on. This will help you save much more than if you just swipe your card because you will decide not to buy as many things. Taking the time to compare prices lets you find what the best fit is for you. You don’t jump in and buy something that you don’t want or something that is cheaply made. This also gives you a chance to figure out how much you want to pay for the item and what the best price would be.